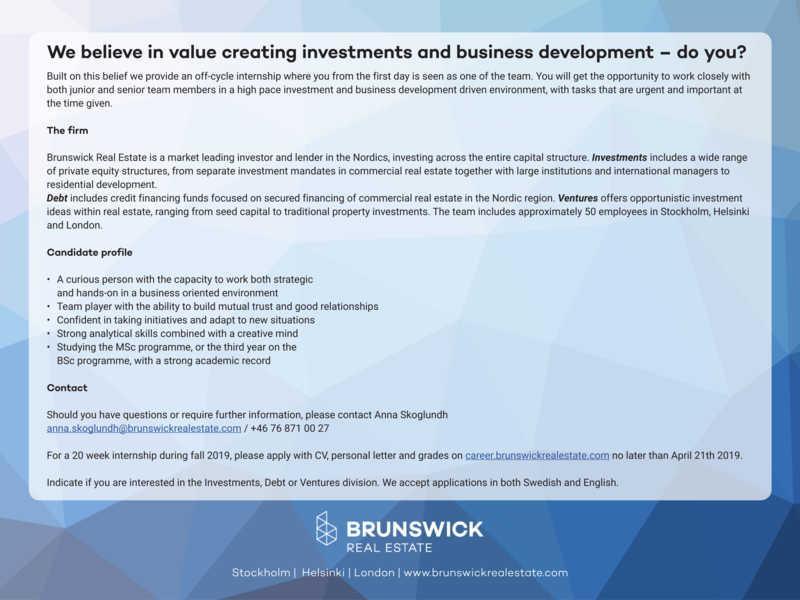 Brunswick Real Estate is a market leading investor and lender in the Nordics, investing across the entire capital structure. Investments includes a wide range of private equity structures, from separate investment mandates in commercial real estate together with large institutions and international managers to residential development. Debt includes credit financing funds focused on secured financing of commercial real estate in the Nordic region. Ventures offers opportunistic investment ideas within real estate, ranging from seed capital to traditional property investments. The team includes approximately 50 employees in Stockholm, Helsinki and London.